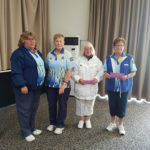 July CCC meeting date announced. 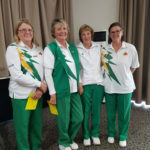 The next CCC meeting will be held on Wednesday 24th of July 2019 at 5.30pm at the Crookwell CWA Rooms. For more information, please click here. 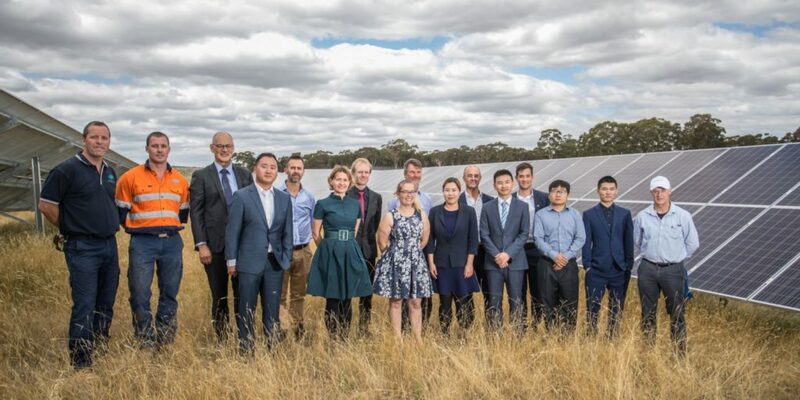 Applications for the next Clean Energy Program Stage 2 Funding Round will close soon. 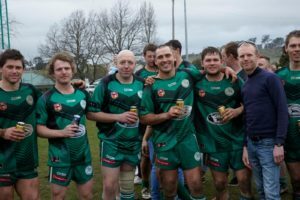 February CCC meeting date announced. 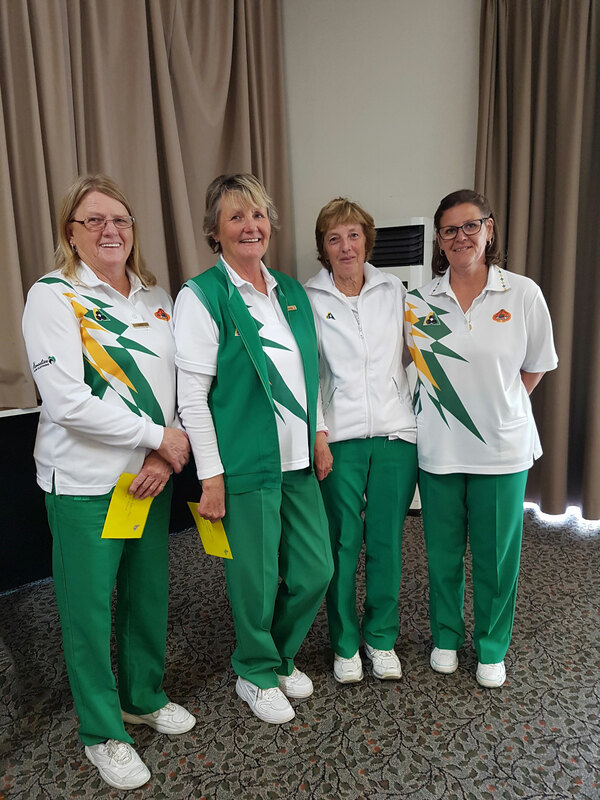 The next CCC meeting will be held on Wednesday 20th February 2019 at 5.30pm at the Crookwell CWA Rooms. For more information, please click here. There are a further 50 households that have entered the first stage of the program but are yet to apply for for their grant. These households have had an energy audit completed on their home to identify the best way to improve its energy efficiency and maximise potential power bill savings. They can now apply for their $6500 grant, meaning the CLEP is going to continue to expand in 2019 and 2020. CCC Meeting to be held in February 2019. The next CCC meeting date will be in February 2019, date TBC. Please be advised our email servers will be unavailable from 10am – 5pm on Monday 26th November. This period of downtime will be scheduled for necessary updates to be applied to the servers. Please contact us via 1800 509711. 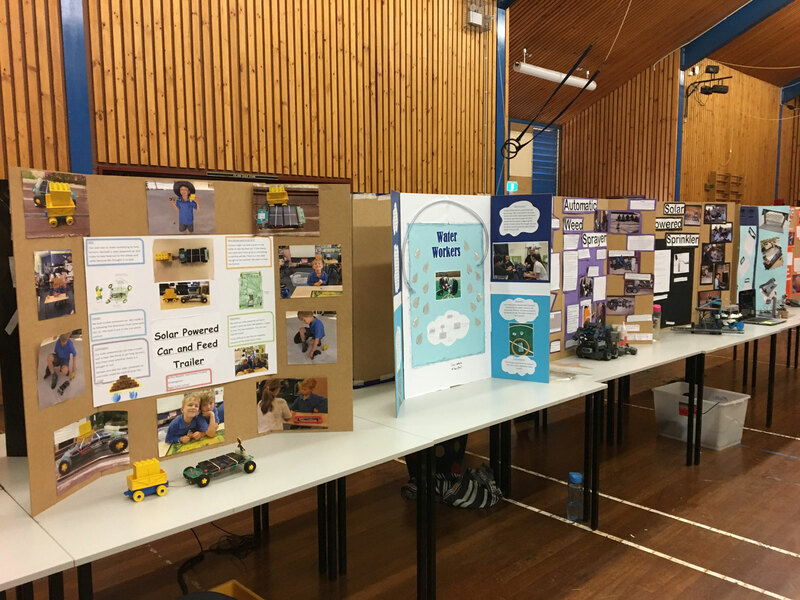 A range of local community leaders and members came along to the Showcase event to view the students’ projects, including staff from Upper Lachlan Council and Mayor John Stafford, Isabel Nelson and Derek Powell from Gullen Range Wind and Solar Farm along with many more. 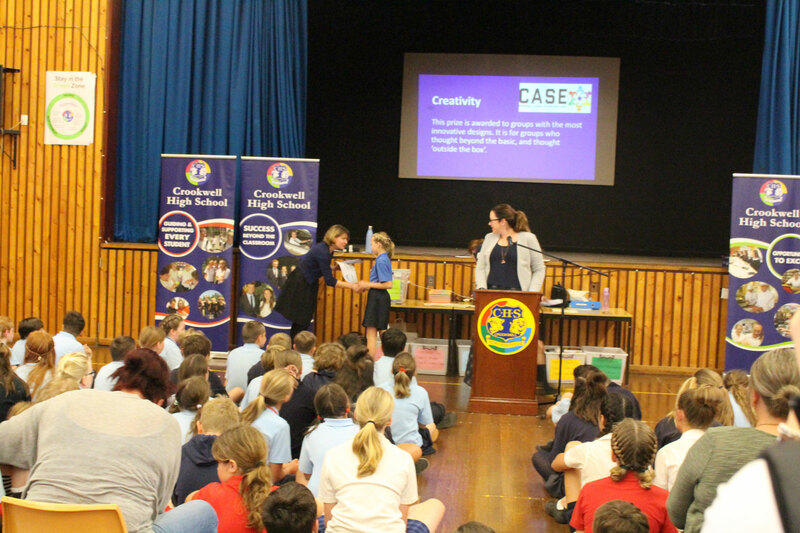 Isabel was proud to present the ‘Creativity Prize’, which is awarded to student projects with the most innovative designs. Read more here. The annual ‘Music in the Park’ concert will be held on Sunday 18th November 2018. More details here. 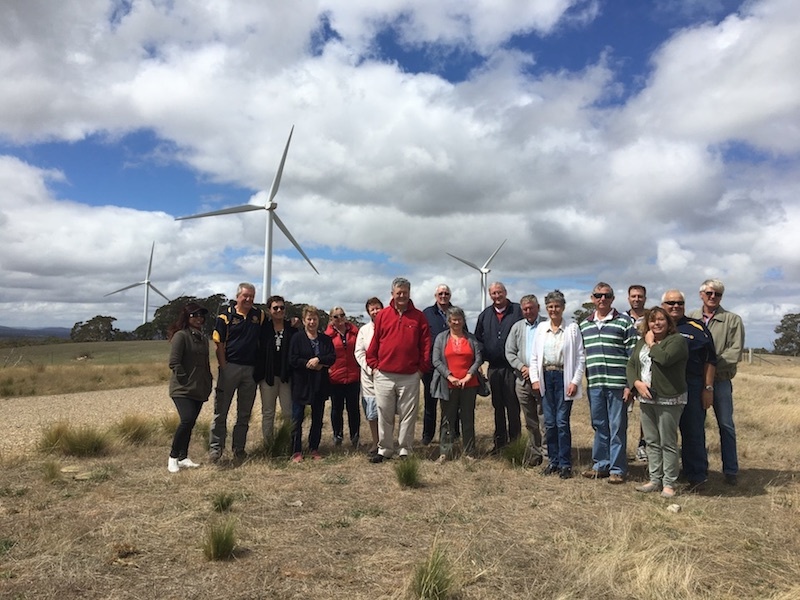 Gullen Range Wind Farm provided a grant for $8,000 to Kiamma Landcare Group through the Community Enhancement Program. If you would like to find out more about our Community Fund grants, please click here. November tour is sold out! 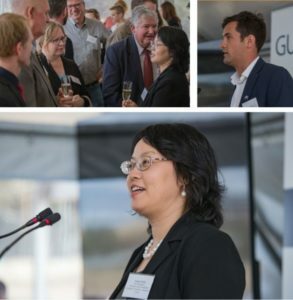 Goldwind Australia is a wholly owned subsidiary of Goldwind International, the world’s largest manufacturer and supplier of utility wind turbines is seeking a Service Technician at Gullen Range Wind Farm. Goldwind manufactured and maintains the turbines at Gullen Range Wind Farm. For further information please contact Priscilla Kumar at Goldwind on 02 8079 0921. 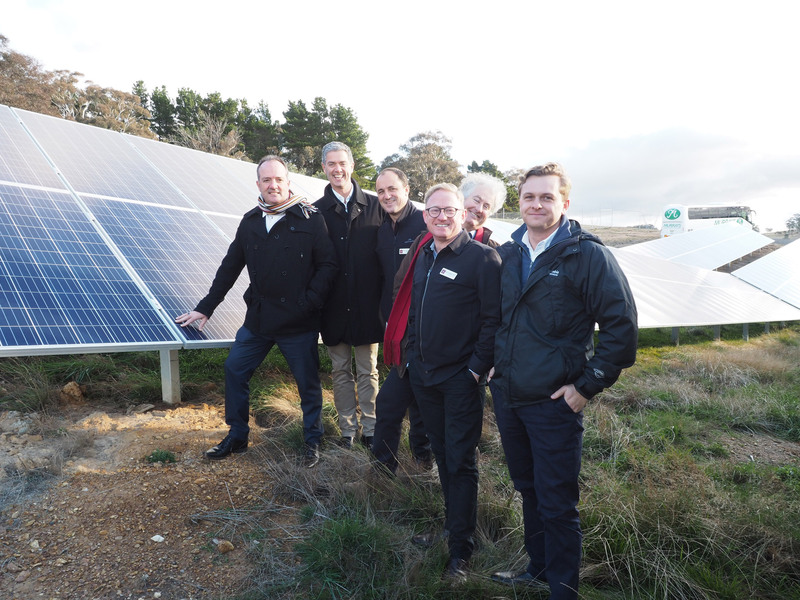 Gullen Range Wind Farm provides crucial funding to seven local projects. 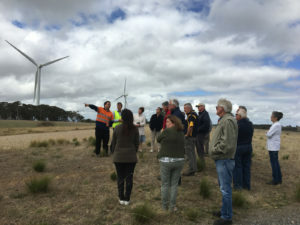 Today, Gullen Range Wind Farm announced the seven local projects, which will be receiving funding from the 2018/2019 Community Enhancement Fund. 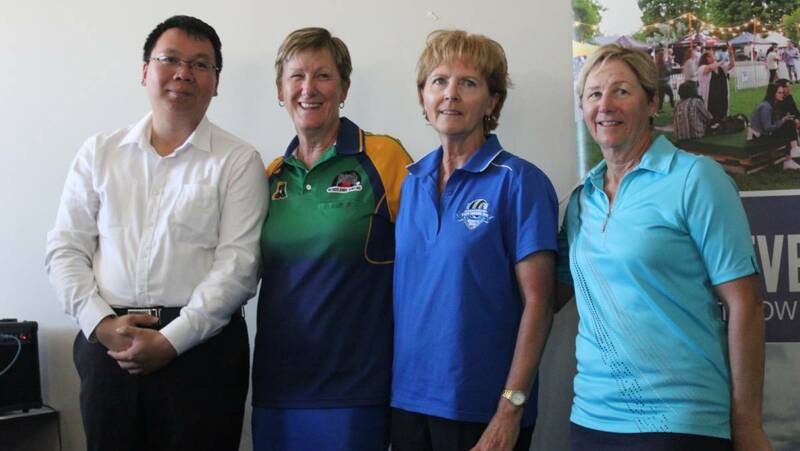 The seven community organisations will share in $70,905 to help benefit the community. 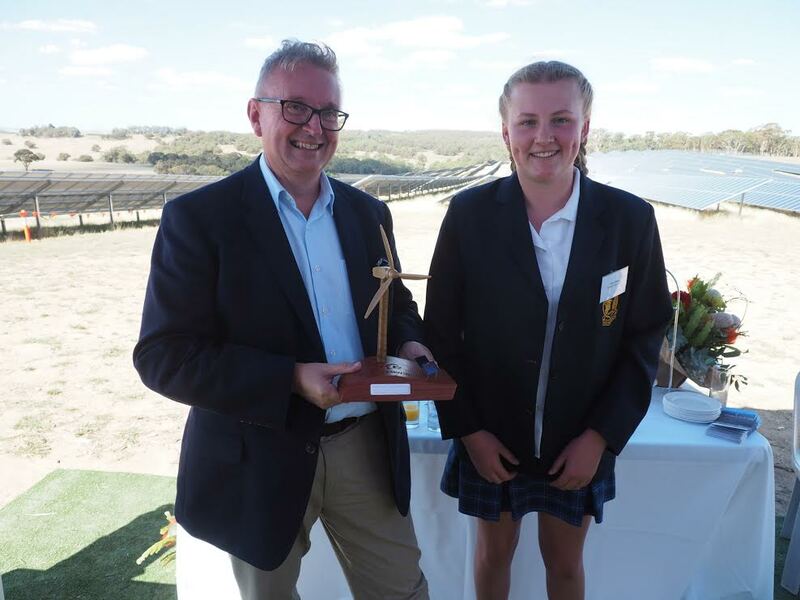 Gullen Range Wind Farm Community Fund Program receives an outstanding number of grant applications. Over ten applications were submitted to this years Community Fund Program. 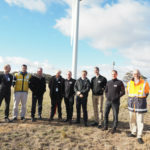 The Community Fund provides grants to projects or initiatives that benefit the community within 10km of the wind farm. Please note that Gullen Range Wind Farm is carrying out maintenance involving cranes and trucks. From 23rd April to 28th April, a crane will be delivered to site consisting of approximately twenty semi-trailer deliveries. These deliveries will follow the approved delivery route from Goulburn along the Crookwell Road to Crookwell and then Kialla Road and Range Road to the Bannister group of wind turbines. Does your community group need new equipment or funding for a much needed project? 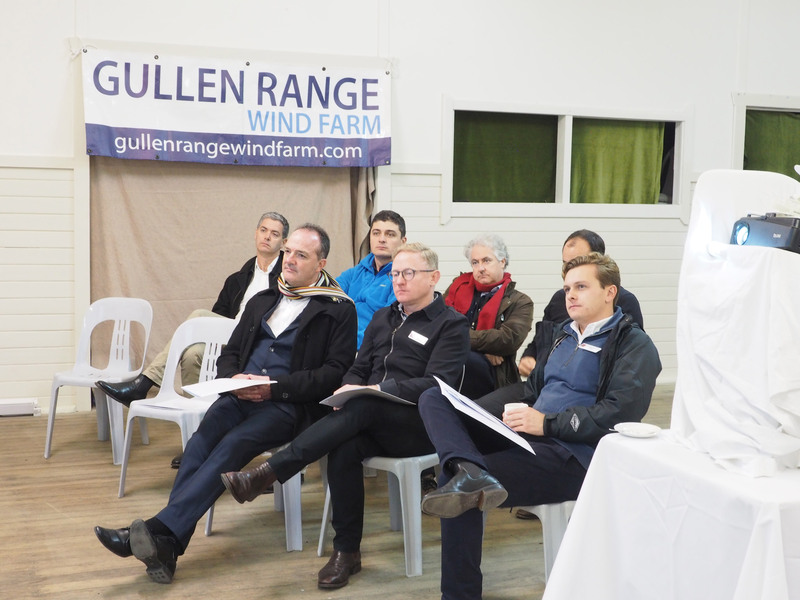 The Gullen Range Wind Farm FREE Grant Writing Workshop gives your community all the information you need to access important funding. 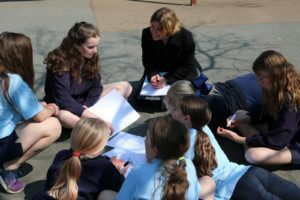 Get information from experienced grant writers about the skills, tips and techniques that will help your local community organisation submit grant applications to a variety of providers, with the best chance of being successful. This workshop will help you get started finding grants, making sense of complex jargon, identifying the requirements of an application and more! 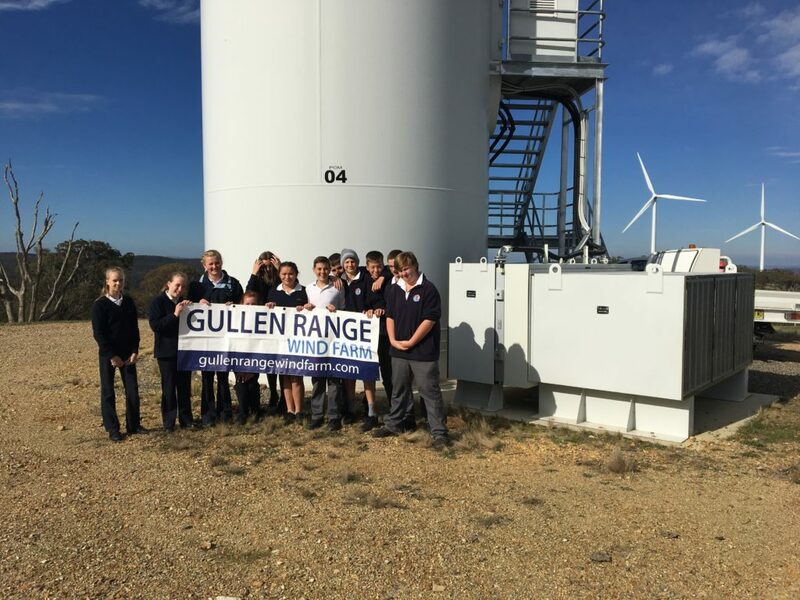 Applications are now open for the 2018/2019 Gullen Range Wind Farm Community Funding Round. 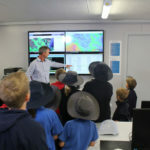 The Community Fund provides grants to projects or initiatives that benefit the community within 10km of the wind farm. 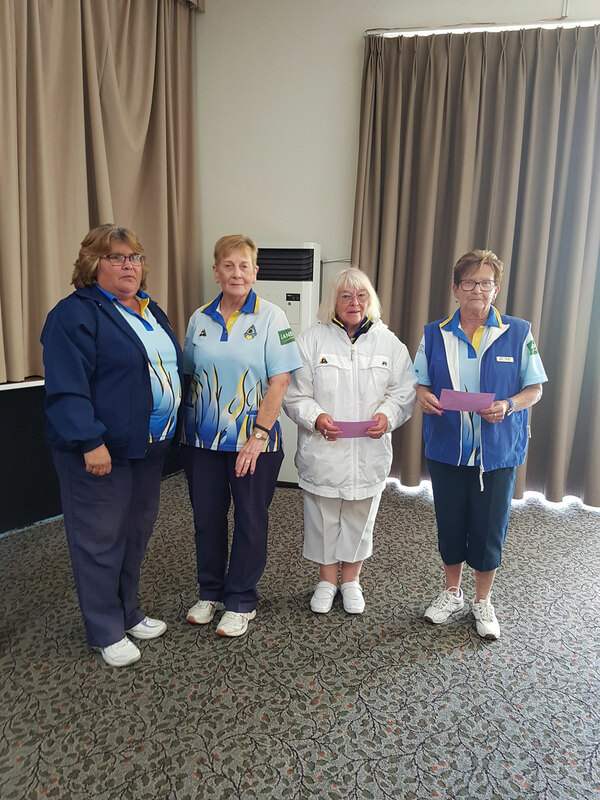 For this year’s round of funding, approximately $70,000 has been made available to the Community Fund. We’ve installed 30 nest boxes in an area set aside for habitat conservation on the wind farm called the Compensatory Habitat Package area. Although nest boxes are not the same as natural tree hollows, they can still be an essential substitute for many animal species that rely on tree hollows for nesting and shelter. Did you know that in Australia, it is estimated that 303 native vertebrate species use hollows! 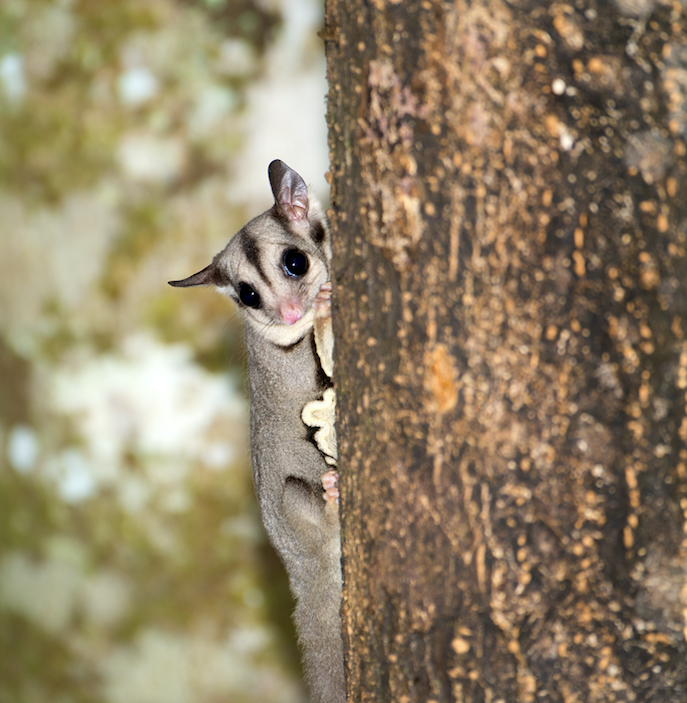 These species include 83 mammals, 114 birds, 79 reptiles and 27 amphibians (Gibbons and Lindenmayer, 2002). 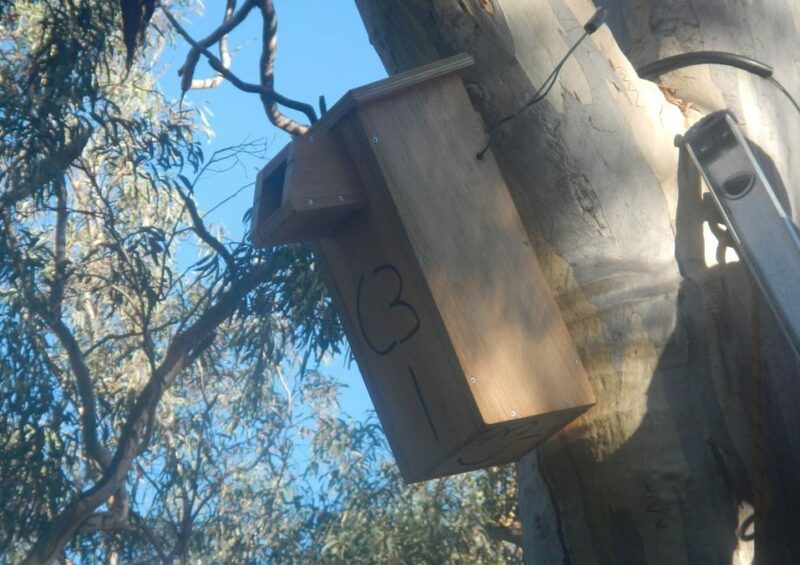 Read more about our nest boxes and the work we are doing to improve the conservation value of our Compensatory Habitat Package area in the media release below. 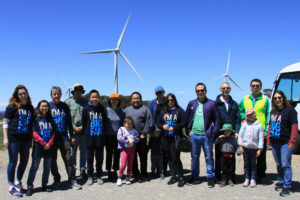 This 123-hectare area, equivalent to more than 123 football fields, is a requirement of the wind farm’s project approval to make up for the 35 hectares of land impacted by the construction of the wind farm. 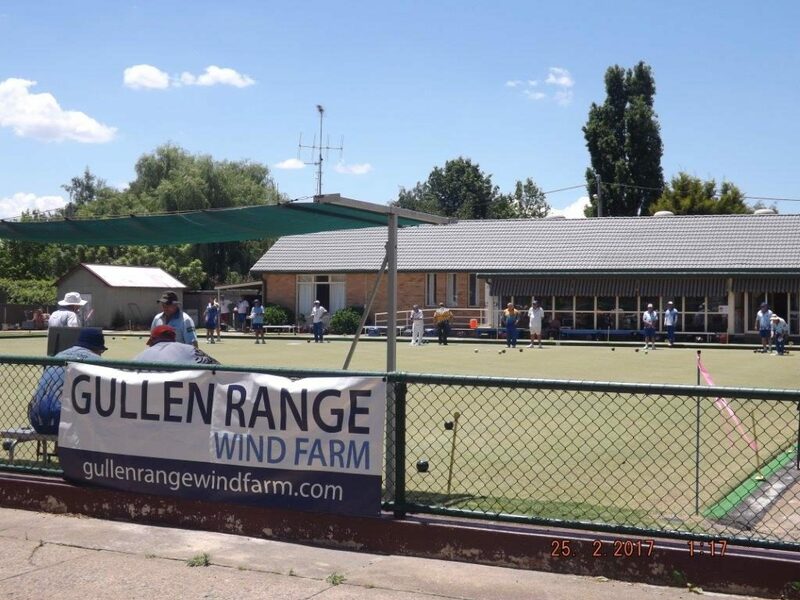 Gullen Range Wind Farm was very proud to sponsor both the Crookwell Men’s Services Bowling Club’s Annual Triples Tournament and the Crookwell Services Women’s Bowling Club’s District Fours Tournament. 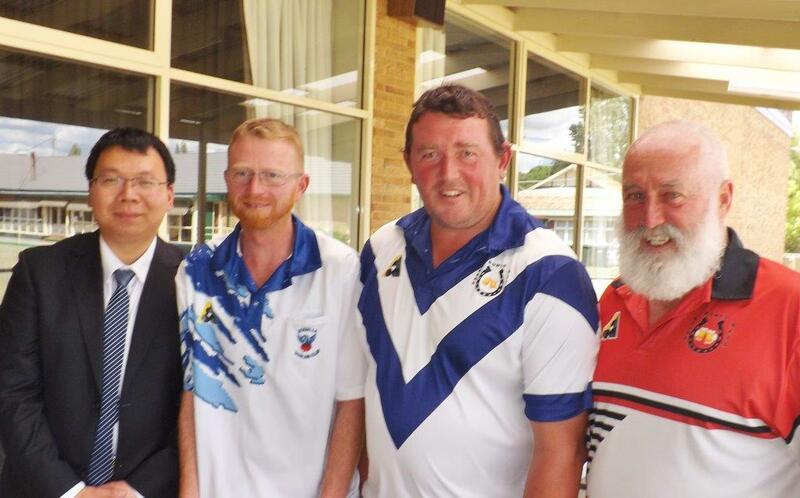 You can find out more about the Annual Triples Tournament in the Crookwell Gazette’s article here. 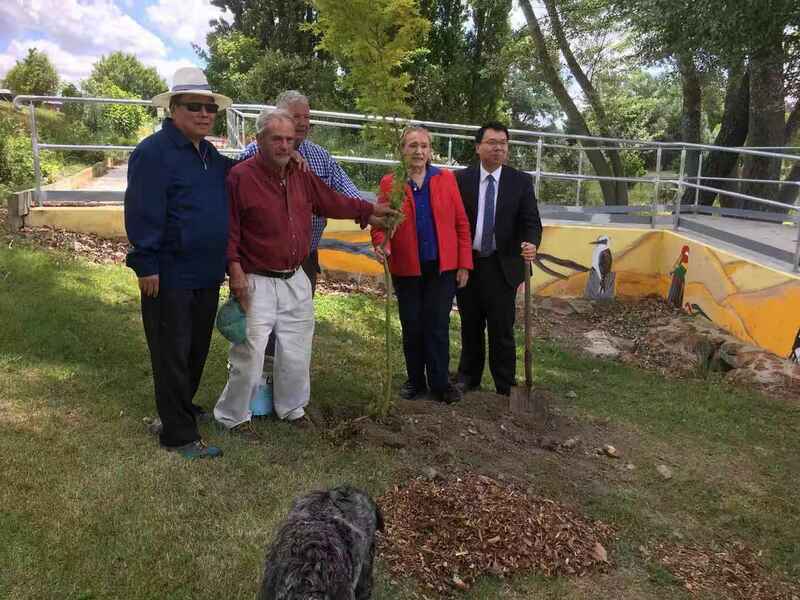 Gullen Range Wind Farm’s Isabel Nelson and Simon Zhao were honoured to join the official opening ceremony for the newly installed accessibility ramp at Pat Cullen Reserve in Crookwell. 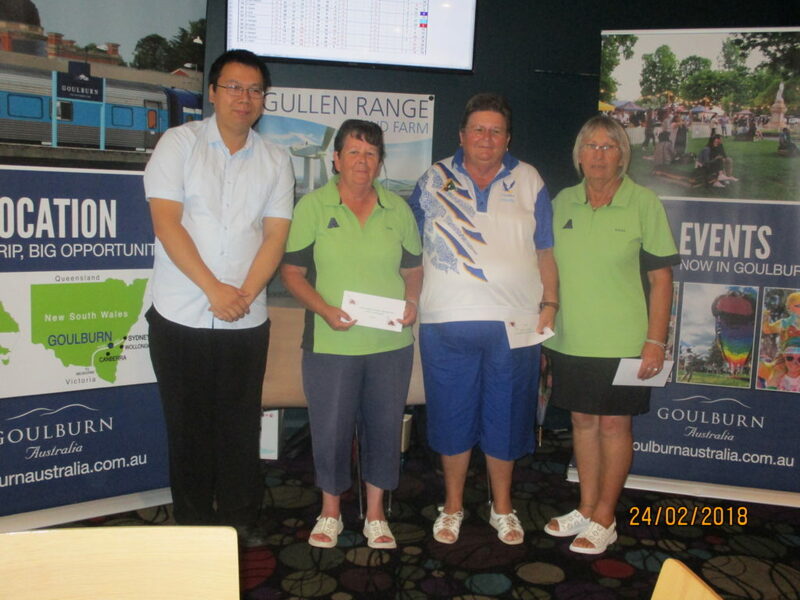 The accessibility ramp received a Gullen Range Wind Farm Community Fund grant of $16,065.95 towards the project. 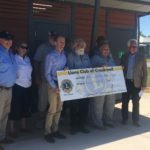 The ramp was also funded by the Upper Lachlan Shire Council, the Federal Government’s Stronger Communities Program and Kiamma Creek Landcare. 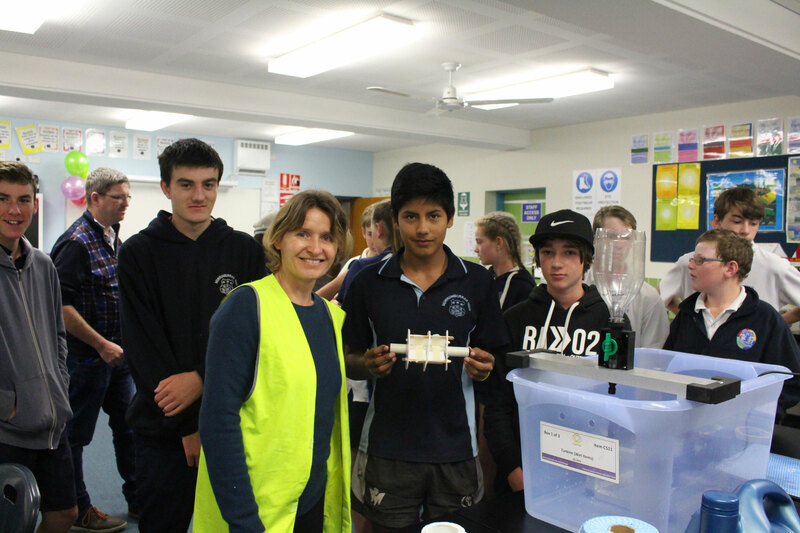 To find out more, you can read the article in the Crookwell Gazette by clicking here. 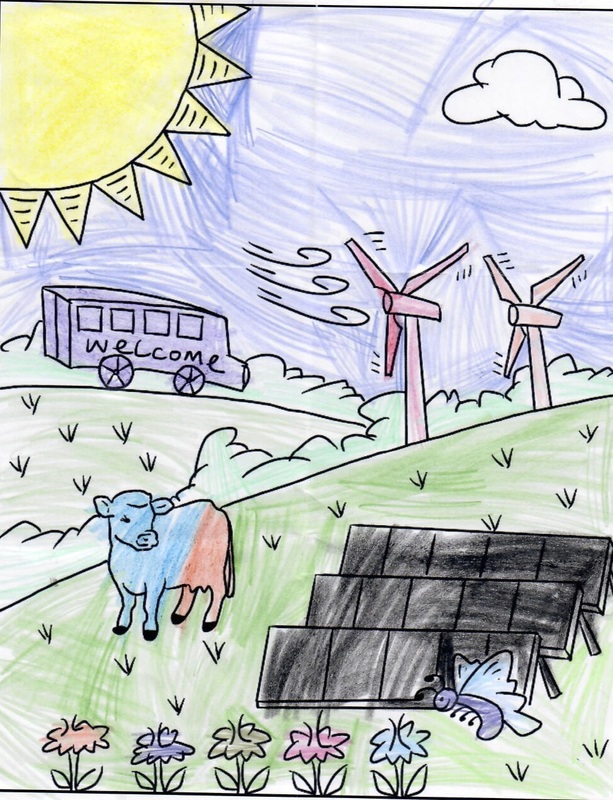 You can find out more about the Gullen Range Wind Farm Community Fund grants here. 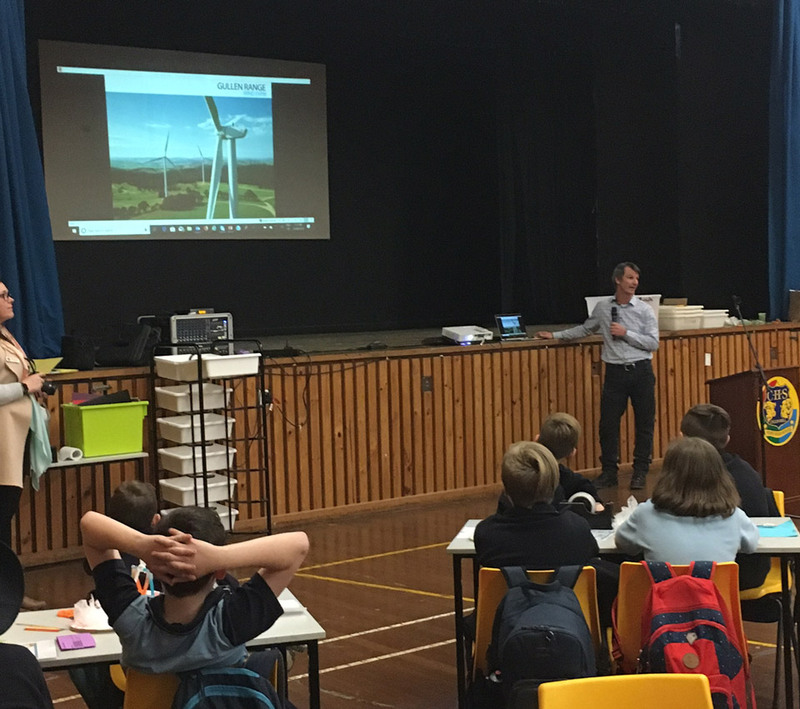 Gullen Range Wind Farm recently donated $1750 worth of educational equipment to the Science, Technology, Engineering and Mathematics (STEM) program that commenced this year at Crookwell High School. 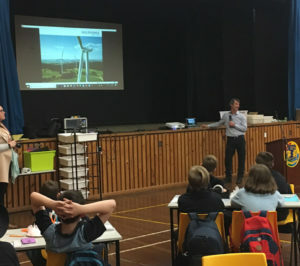 Rebecca Dark, a STEM teacher at Crookwell High School said, “It’s powerful for students to learn STEM based concepts, directly relate them to real world applications and to also work with local and international businesses, as happened with our project with Gullen Range Wind Farm”. To find out more, please click on our media release below. You can download the latest CCC Meeting Minutes on the link here. 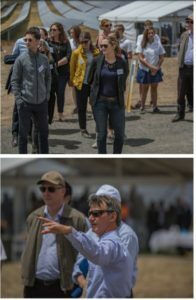 The next Gullen Range Wind and Solar Farm tour will take place on Tuesday, 23rd January 2018 (advance bookings essential). 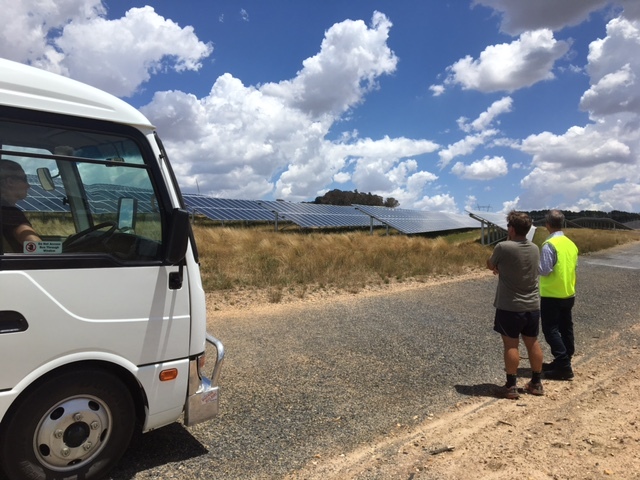 The tours are a great opportunity for the community to visit Australia’s first hybrid wind and solar farm, which is located along SERREE‘s (South East Region of Renewable Energy Excellence) Renewable Energy Trail. 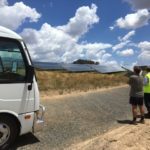 Gullen Range Wind Farm and Gullen Solar Farm are excited to announce the launch of their Wind and Solar Farm Tours. The first tour will take place on Tuesday, 24th October at 11.30am (advance bookings essential). 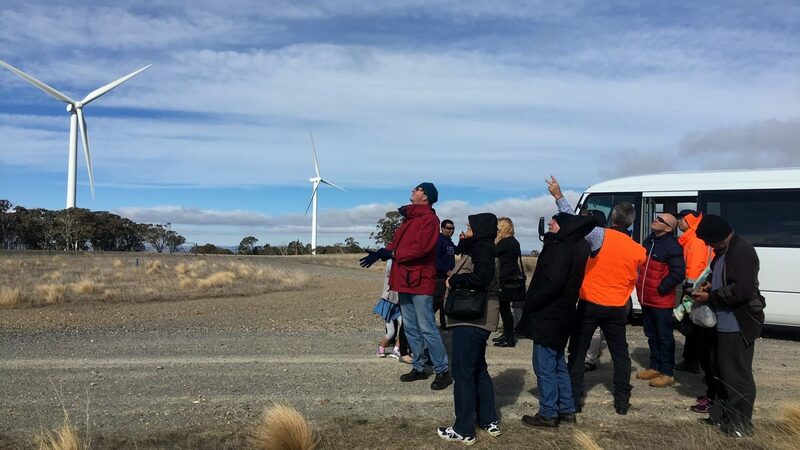 The tours are a great opportunity for the community to visit Australia’s first hybrid wind and solar farm, which is located along SERREE‘s (South East Region of Renewable Energy Excellence) Renewable Energy Trail. 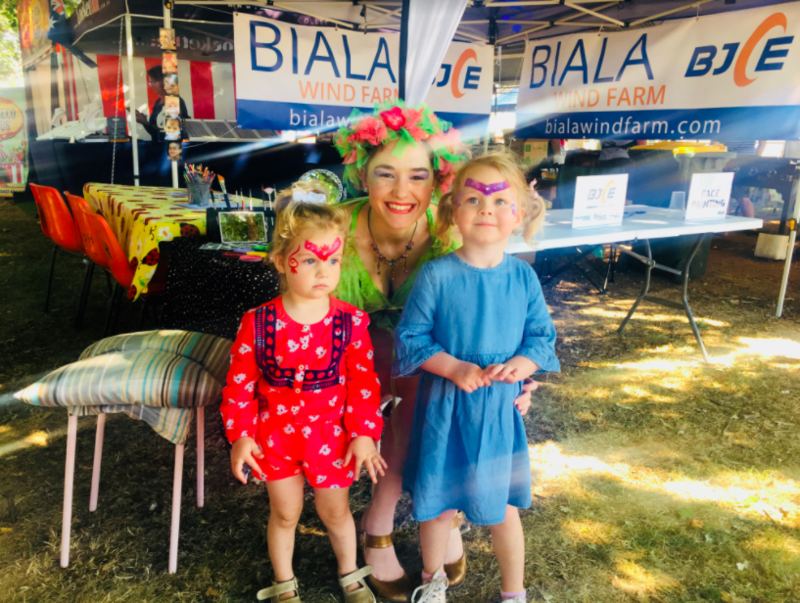 The Crookwell Progress Association has ordered 1000 reusable shopping bags in a bid to say ‘no’ to plastic bags thanks to a Gullen Range Wind Farm Community Fund grant. The red bags will be given out to shoppers before Christmas. For more information, please click here. Thirty nest boxes have been installed on trees located on land set aside for habitat conservation on the wind farm. This protected land is called the Compensatory Habitat Package area (or CHP) and it covers approximately 123 hectares, that’s the equivalent of approximately 123 football fields! During construction, 35 hectares of land was cleared to install roads, hardstandings and turbine foundations. In order to make up for the 35ha affected, we have committed to improving the conservation value of the 123ha CHP area through active management for the lifetime of the wind farm under our Property Vegetation Plan (or PVP). So we’ve been very busy doing just that! 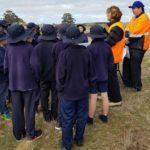 We’ve been planting trees, installing nest boxes, seeding for native grasses and controlling weeds and pests. Check out one of our newly installed nest boxes below. The nest boxes come in different designs to suit a variety of animals, such as birds, gliders and bats. Watch this space, as we hope to let you know which animals have moved in soon! 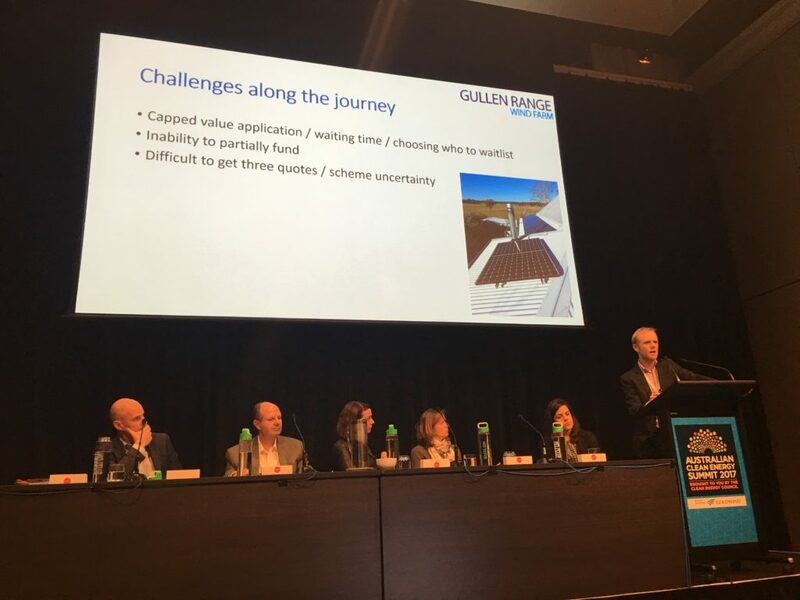 Our Asset Manager, Derek Powell, recently gave a talk about our wind farm’s Clean Energy Program (or CLEP) at the 2017 Australian Clean Energy Summit. 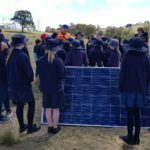 Organised by the Clean Energy Council, the Summit is the premier conference for renewable energy in Australia. 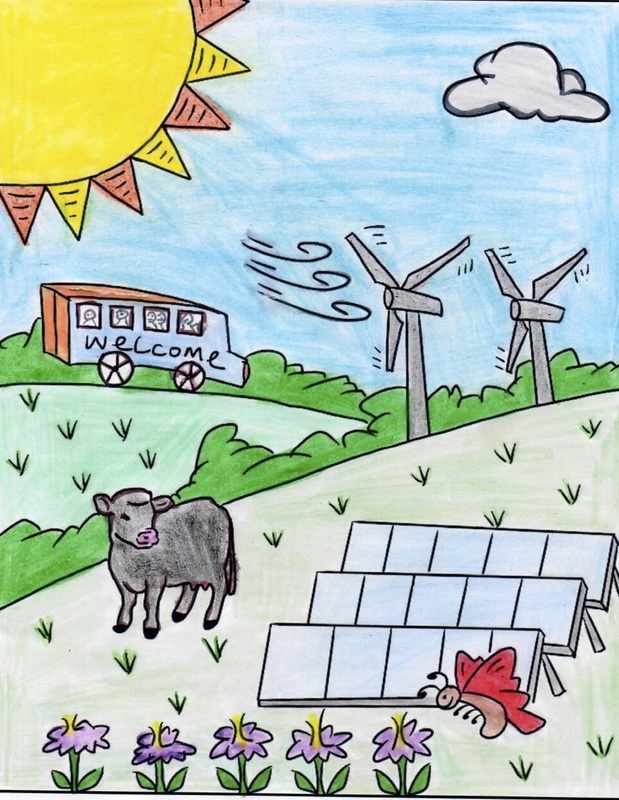 The Clean Energy Program provides financial contributions towards implementing clean energy improvements in the community. 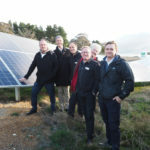 Eligible residents can receive grants of around $6500 to install energy efficiency improvements like solar panels, solar hot water, insulation or double glazed windows. To find out more, you can download a CLEP brochure here or check out our CLEP page here, which provides comprehensive information about the Program, as well as the application forms. You are also welcome to contact us about the Program. 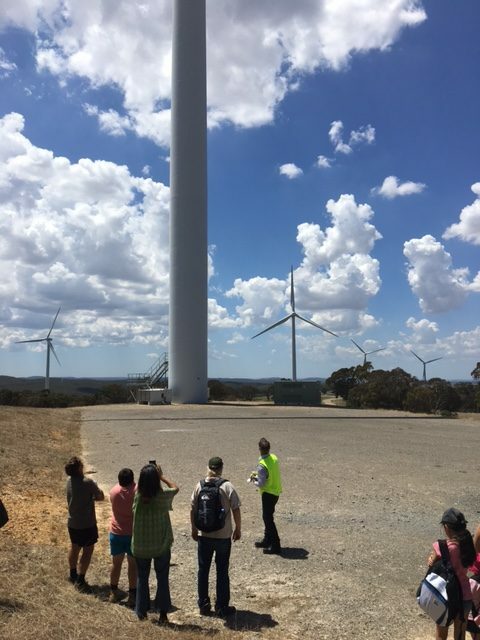 Gullen Range Wind Farm will be performing maintenance on one of the turbines north of Bannister commencing Thursday, 27th July. The duration of the works has been extended due to wind conditions, with work now expected to be completed prior to 24th August. From 27th July to 24th August, a crane will be delivered to site, consisting of approximately twenty semi-trailer deliveries . Oversized deliveries will also occur during this period of time. These deliveries will follow the approved delivery route from Goulburn along Crookwell Road to Crookwell and then Kialla Road and Range Road towards Grabben Gullen. 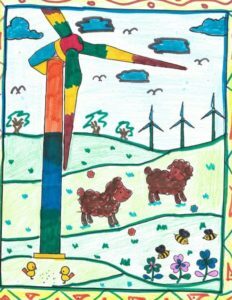 Gullen Range Wind Farm will be performing maintenance on one of the turbines north of Bannister commencing Thursday, 27th July. The works will be of two weeks duration. From 27th July to 10th August, a crane will be delivered to site, consisting of approximately twenty semi-trailer deliveries . Oversized deliveries will also occur during this period of time. 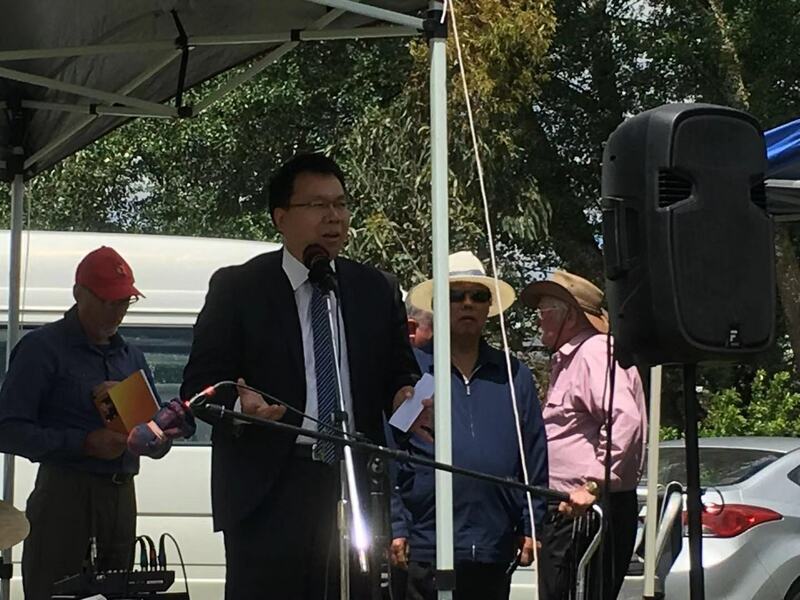 These deliveries will follow the approved delivery route from Goulburn along Crookwell Road to Crookwell and then Kialla Road and Range Road towards Grabben Gullen. Gullen Range Wind Farm is happy to announce that six community groups have received grants together totalling $74,185.95 in the 2017/2018 Gullen Range Wind Farm Community Fund funding round. 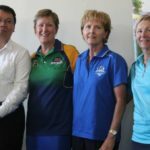 Upper Lachlan Shire Mayor Brian McCormack commented, “It is wonderful to see so many local community groups benefit from this funding”. 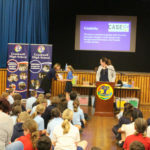 Details of the grant recipients can be found here. 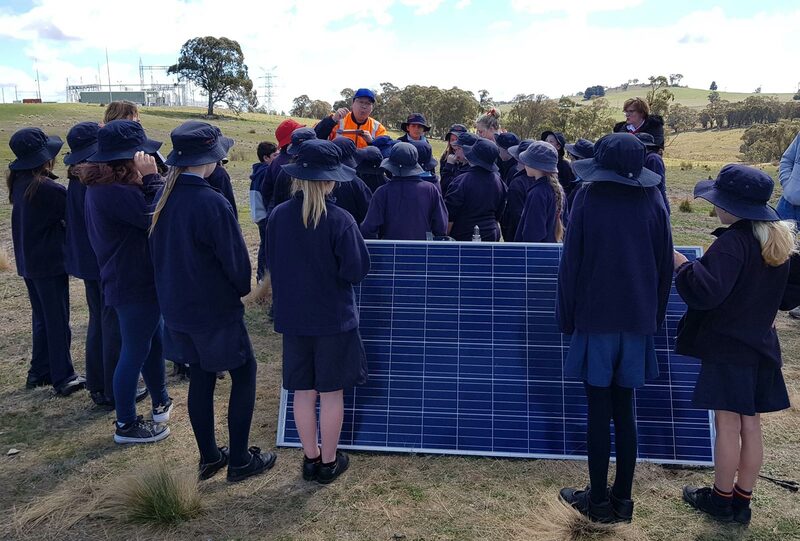 Gullen Range Wind Farm and Gullen Solar Farm were excited to recently host forty Year 8 students from Crookwell High School. 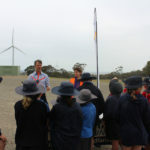 The students were given a mini tour of both the wind farm and solar farm. 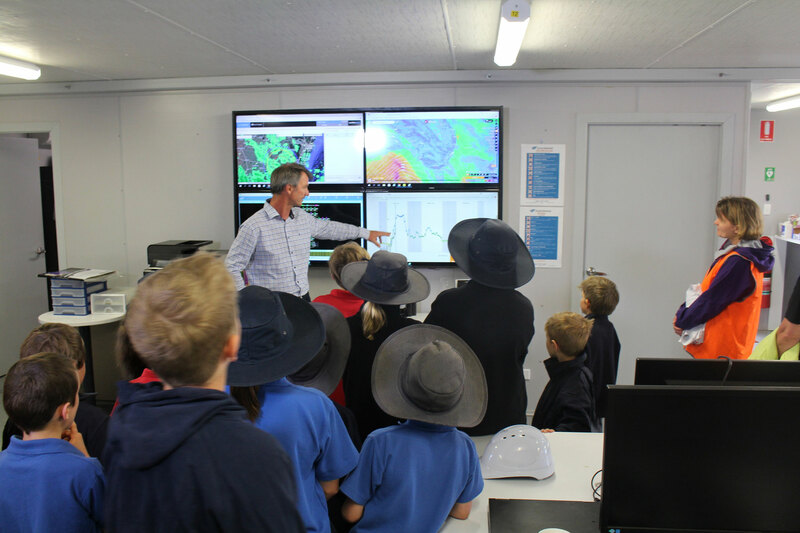 They had an opportunity to see inside a wind turbine, get up close to a solar panel array and learn about wind and solar energy. 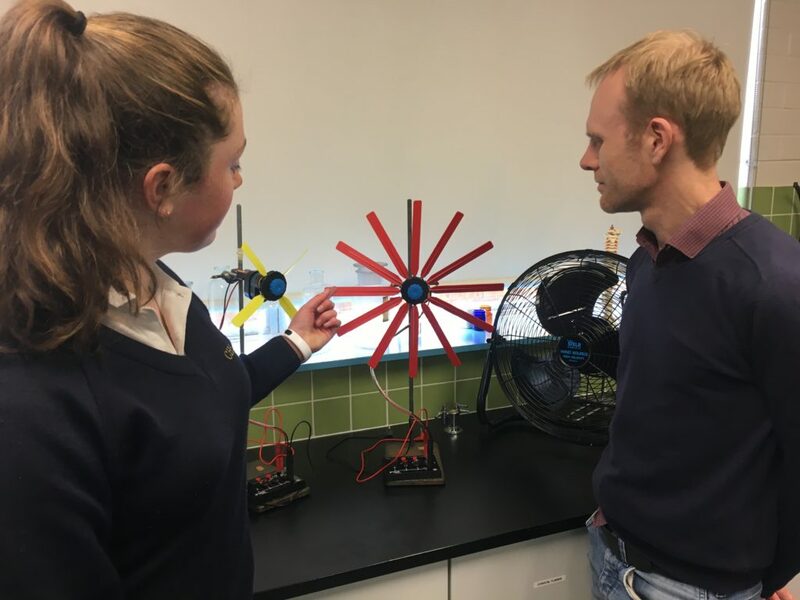 With the wind blowing and the sun shining, it was a perfect day to explain to the students how co-located wind and solar plants can work very well together. 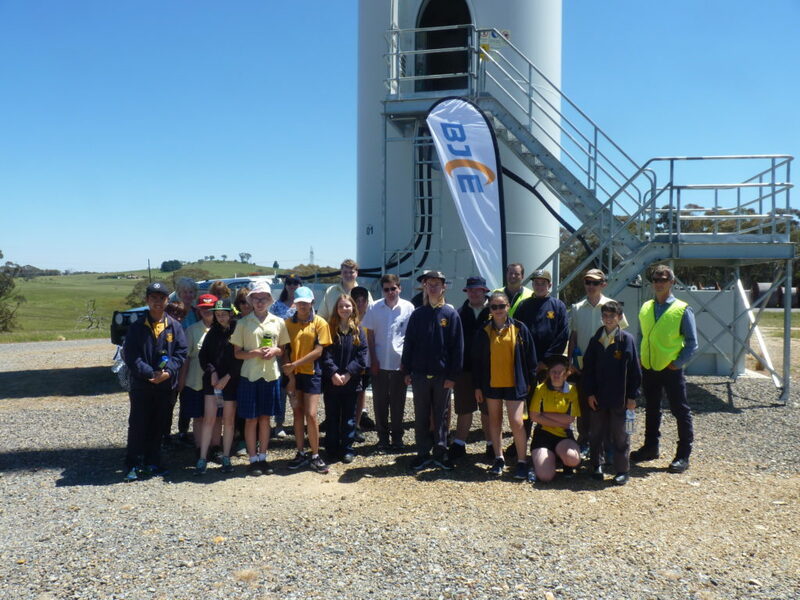 The photo below shows the students standing next to one of our wind turbines. Please note that Gullen Range Wind Farm is carrying out maintenance involving cranes. From 3rd May to 5th May, a crane will be delivered to site consisting of approximately twenty semi-trailer deliveries. These deliveries will follow the approved delivery route from Goulburn along the Crookwell Road to Crookwell and then Kialla Road, Range Road, Bannister Lane and Storriers Lane to Bannister. 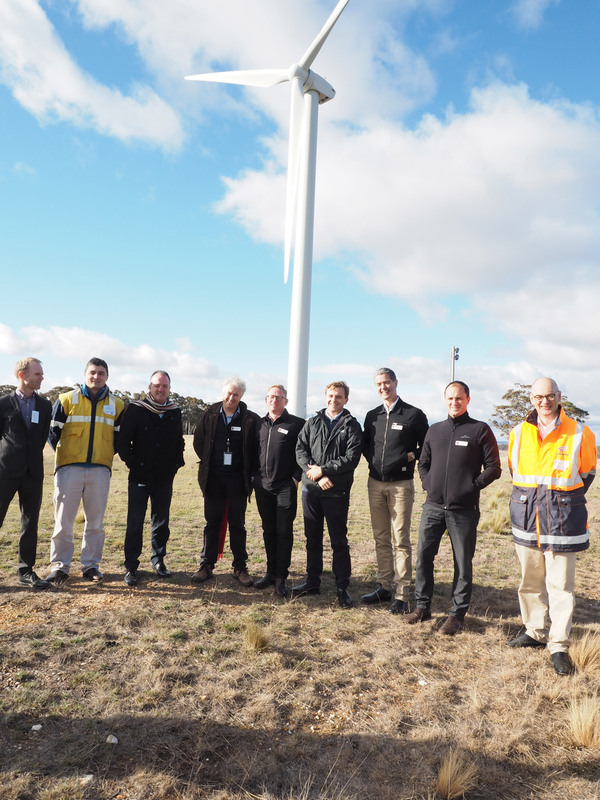 Gullen Range Wind Farm has updated its Out of Hours Works Policy. It describes the procedure that will be followed if certain types of maintenance works, such as the use of a crane, need to be performed outside of normal hours. You can download it here. 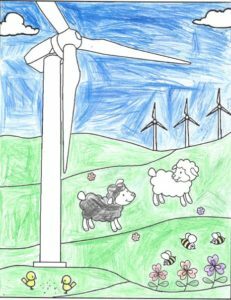 Gullen Range Wind Farm will be performing maintenance on one of the turbines north of Bannister commencing Tuesday, 4th April. The works will be of three weeks duration. From 4th April to 7th April, a crane will be delivered to site, consisting of approximately twenty semi-trailer deliveries. Oversize deliveries will also occur in the week commencing 10th April. 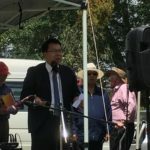 These deliveries will follow the approved delivery route from Goulburn along Crookwell Road to Crookwell and then Kialla Road and Range Road towards Grabben Gullen. We apologise for any inconvenience caused. Please monitor our website for further updates. 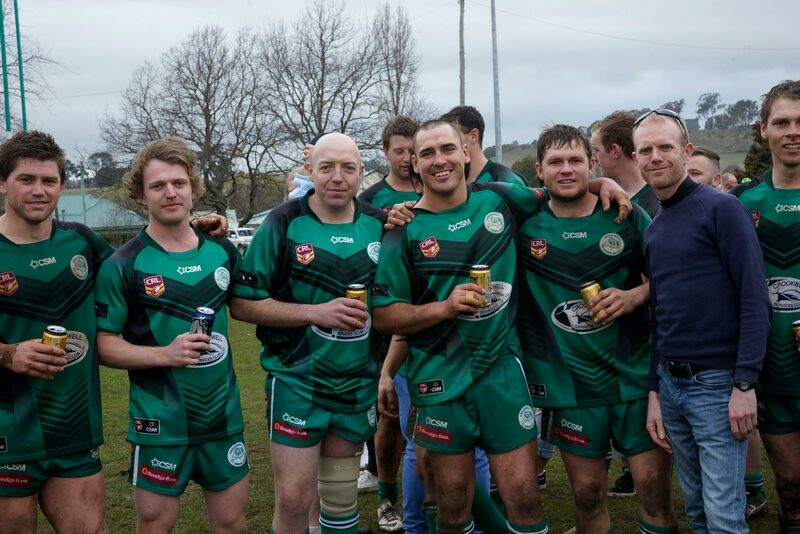 If you would like to find out more about our Community Fund grants, click here. 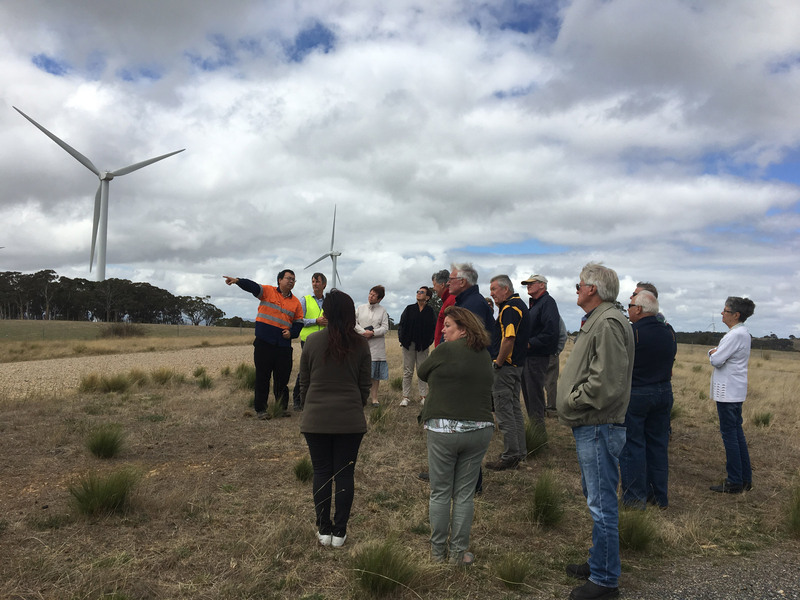 Applications are now open for the 2017/2018 Gullen Range Wind Farm Community Funding Round. 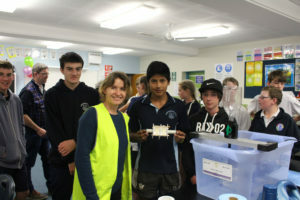 The Community Fund provides grants to projects or initiatives that benefit the community within 10km of the wind farm. 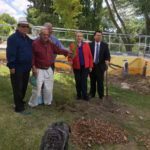 For this year’s round of funding, approximately $70,000 has been made available to the Community Fund. To find out more about the Community Fund and how to apply, click here. 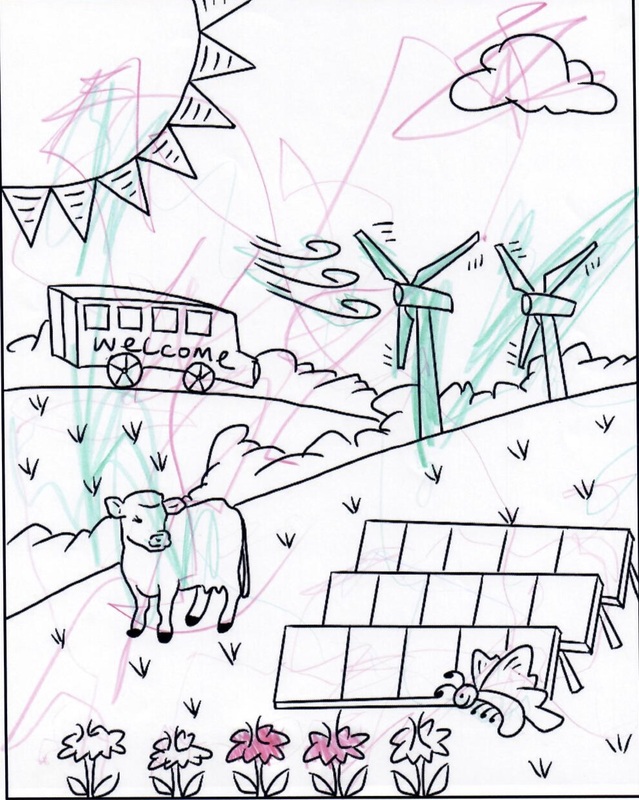 Thank you to everyone who has sent us their very impressive colouring-in sheets! *Please note that our Preschool age category has been replaced by a Kindergarten age category, as we did not receive any preschool entries. 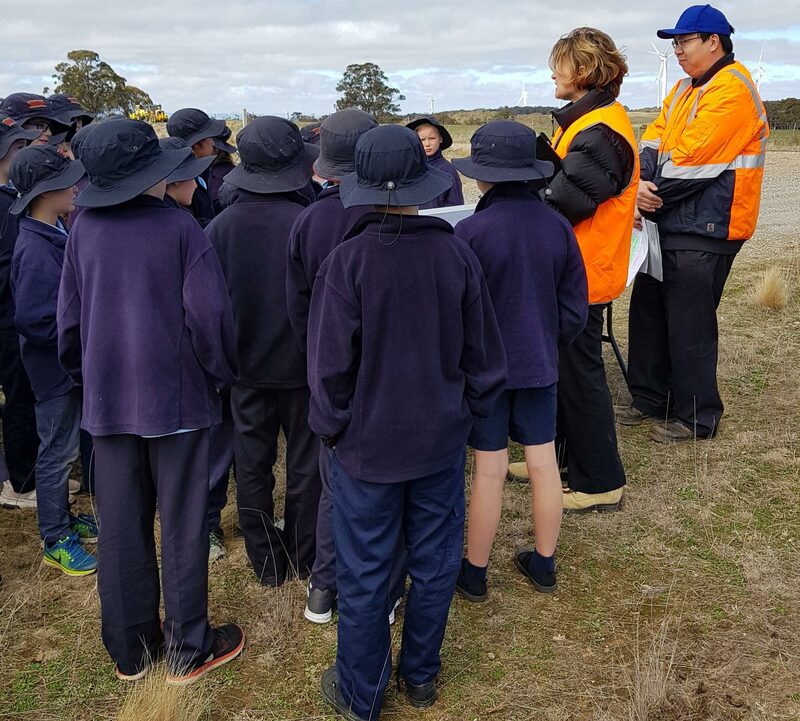 Pupils from Crookwell Public School and St. Mary’s Primary School, Crookwell were energised by their recent visit to Gullen Range Wind Farm, the largest operating wind farm in New South Wales. 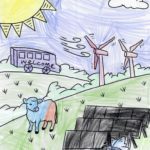 In total, 73 pupils from both schools were given the opportunity to see how a wind farm operates, experience what it’s like to be up close to a wind turbine and learn more about renewable energy. 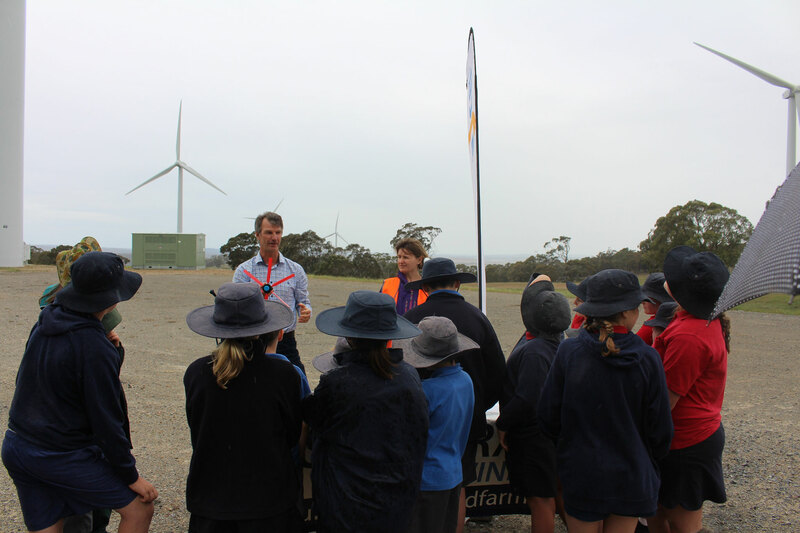 Gullen Range Wind Farm held a Community Open Day on Sunday, 16th October 2016, which was aligned with the Clean Energy Council’s Australia wide wind farm open day. 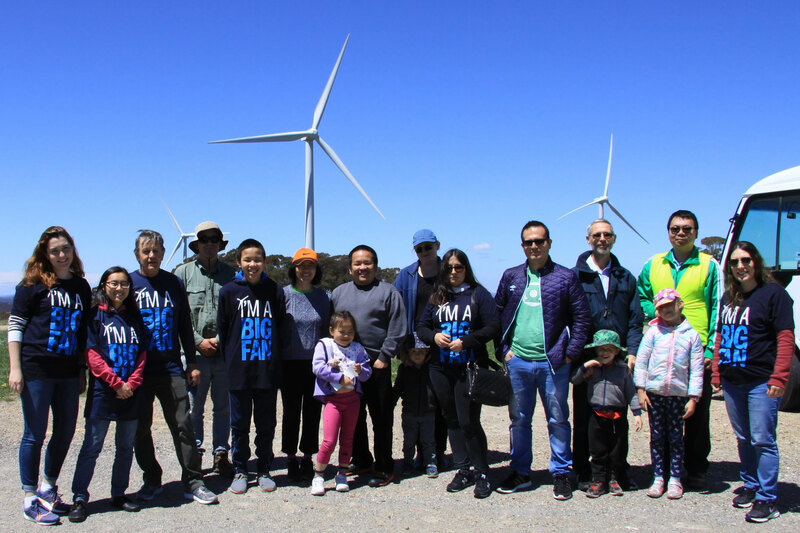 The Open day was a great opportunity for the community to visit the largest operating wind farm in New South Wales. 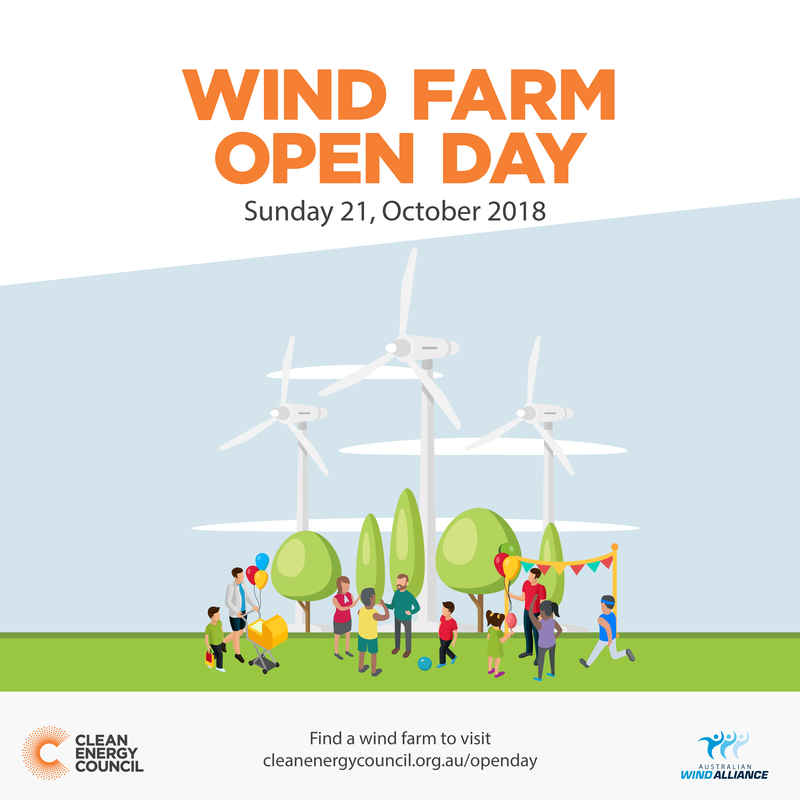 Visitors were able to see how a wind farm operates, experience what it’s like to get up close to a wind turbine and find out more about wind energy at our Open day. We’ve just launched our newly designed website. 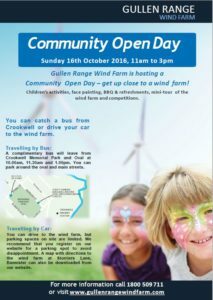 Gullen Range Wind Farm is holding a Community Open Day on Sunday, 16th October. 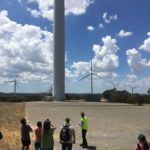 The Open Day is a great opportunity to visit the largest operating wind farm in New South Wales. 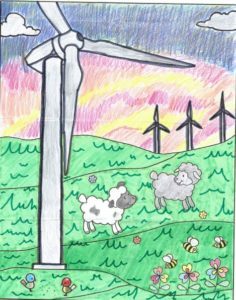 Visitors will be able to see how a wind farm operates, experience what it’s like to get up close to a wind turbine and find out more about wind energy. 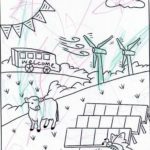 The Open day will feature a mini-tour of the wind farm, face painting, children’s crafts and competitions, a BBQ and refreshments. 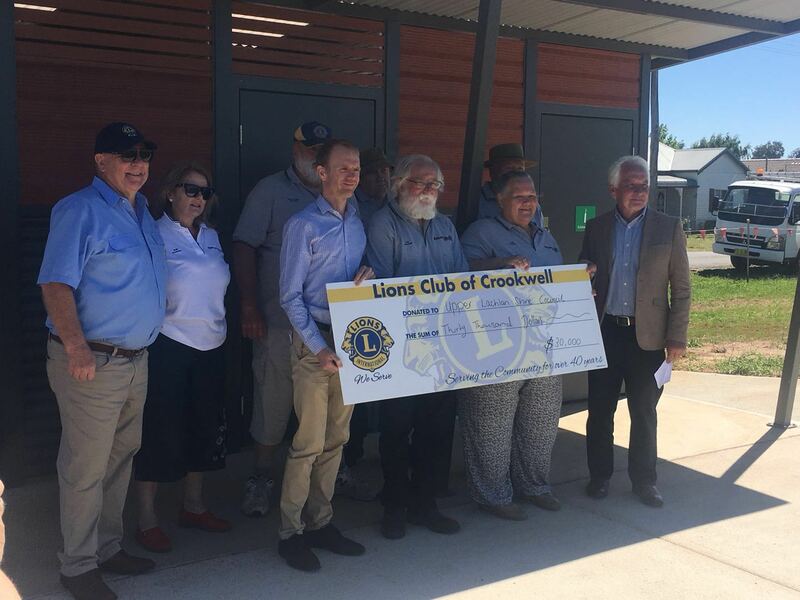 You can catch a bus from Crookwell or drive yourself. 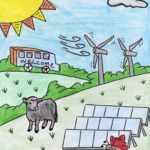 The Clean Energy Program (CLEP) forms part of the Community Enhancement Program, which can be downloaded here. The CLEP was revised in 2016, following feedback from applicants. The revised CLEP began operation on 1st September 2016. If you have not already applied for the program yet, then we recommend you get involved. Under Stage 1 of the program, if you are eligible, you will receive an energy audit of your house. 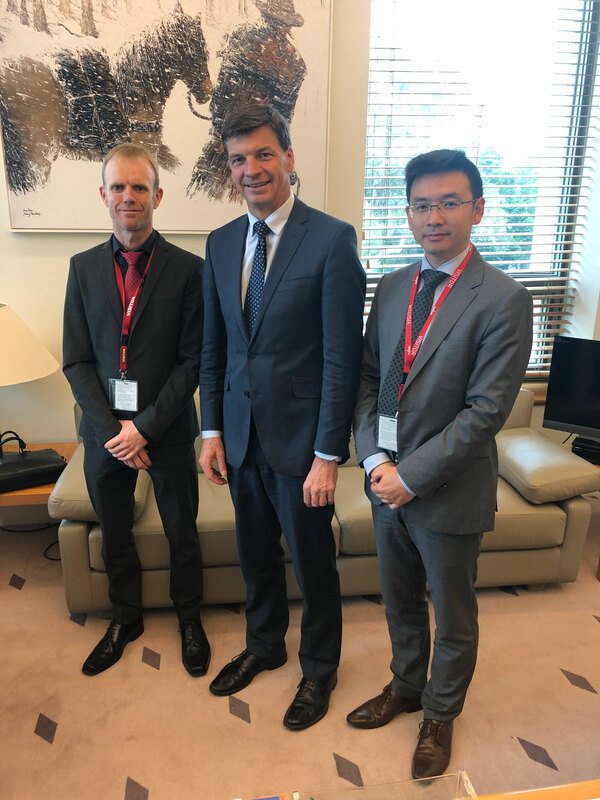 Under Stage 2 of the program, eligible residents will be able to apply for a grant of approximately $6500 to make energy efficiency improvements to their house. This might include installation of a solar hot water service, a solar PV system, wall insulation or better insulated windows. 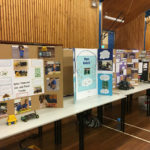 For more information about CLEP, please click here. Please note Gullen Range Wind Farm is carrying out maintenance works involving cranes between Monday, 16th August and Friday, 30th September. The works will require a number of traffic movements on local roads. The traffic movements associated with the works are outlined below, however, please note that dates are indicative only. 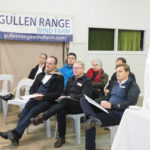 Please refer to www.gullenrangewindfarm.com for up to date information. Movement of mobile cranes from the Hume Highway to the Bannister area of the site via Crookwell and Kialla Road. This will consist of 15-20 large roads and is expected between 19th and 23rd August. Movement of mobile cranes from Bannister to Pomeroy. The date for this movement has not been fixed. 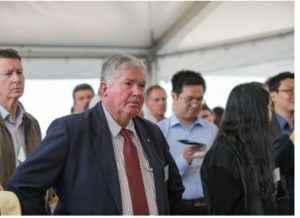 Potential delivery of three wind turbine blades in early September. Further notice will be provided regarding these movements over the next two weeks. General increase in light vehicle movement during the period of works.